When you combine Hydrotherapy and Juice Therapy into Home Remedy for Urinary Track Infection you'll also cleanse your body of toxins, which can cause many hidden diseases. Drinking plenty of water on a daily basis is as important as taking a daily bath. Our bodies need cleansed on the inside as much, if not more, than the outside. At the first sign of an infection start drinking 6 to 8 eight ounce glasses of water a day for young healthy people. 10 eight ounce glasses for those over age 50, and 12 eight ounce glasses for active people over 60, whose bodies need extra fluids. Using a Hot Water Bottle is another Home Remedy for Urinary Track Infection. It's extremely comforting to relieve pelvic pain. Fill your Hot Water Bottle with hot tap water and lay it across the pelvic area for about 20 minutes. Then fill your Hot Water Bottle with cold tap water and lay it across the pelvic area for 20 minutes. You can repeat this several times a day. Whatever you do, never use an electric heating pad, they are not only dangerous they are also worthless. You need to moist heat from the Hot Water Bottle. You'll be amazed at how quickly the heavy pressure you're feeling is relieved. Read the information on Home Remedies for Blader Infections. See why 50% of women in the United State suffer from this E. coli bacteria! Even though water is the best Home Remedy for Urinary Tract Infection, Cranberry Juice is an important Home Remedy. The water will flush out the bacteria, and the Cranberry Juice will line and protect your bladder from bacteria sticking to it. It's important to realize you don't want to go out and buy the traditional Cranberry Juice Cocktail. It's way too sweet to be healthy. 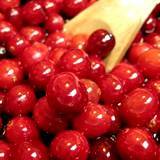 Of course fresh cranberries are the best Home Remedy for Urinary Track Infection. But if you don't have a good juicer then at least buy 100% Natural Cranberry Juice, better yet, buy the frozen Cranberry Juice Concentrate and make yourself a cocktail. For some people the taste of cranberry juice is a bit strong to drink a couple of times a day. You'll enjoy drinking the Cranberry Juice much more if you mix it with 100% Natural Apple Juice. It can be mixed 50/50 and still give you the benefits. or the Cranberry Juice Concentrate mix a ½ tablespoon of Cranberry Juice Concentrate with a Pint Of Natural Fresh Apple Juice. It's important to drink at least 16 ounces of Cranberry Juice per day. Even after your infection is gone you should make a habit out of introducing Cranberry Juice into your diet. 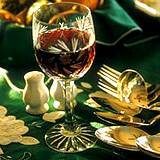 Treat yourself to a bit of luxury and drink your Cranberry Cocktails from a special wine glass. It will lift your spirits and give you more incentive to drink it throughout the day. There's nothing worse than filling up a big glass of water and downing it then using the same glass to fill up the Cranberry Juice. Remember, it's the little things in life that we can make special. Treat yourself or your loved one special when using a Home Remedy, and before you know it you don't even realize you're treating an illness.